Before joining the industry, Bryan Kear served our country in the United States Army, completing two combat tours in Afghanistan. 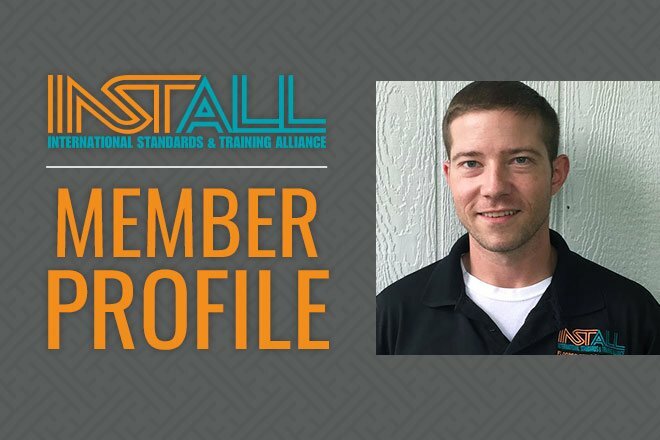 It was this passion for learning and teaching advanced skills, coupled with a new relationship with INSTALL, which helped him transition back to civilian life after active duty. Over these past six years, Kear’s relationship with INSTALL and his employer, Dan Taylor Interiors of Pittsburgh, has continued to grow and develop. “INSTALL curriculum guides us in the industry and creates a standard across companies. It helps our industry police itself from company to company. Nothing is forced, there are no shortcuts, and we do things right,” said Kear.